The items you see on this page are available for custom order ONLY. These are for display purpose to give you more ideas and options on top of the ready items in the STORE. You can request custom orders via message on my business FB page. These are long style earrings on a hoop but they go on your ears with ear wires or ear studs. 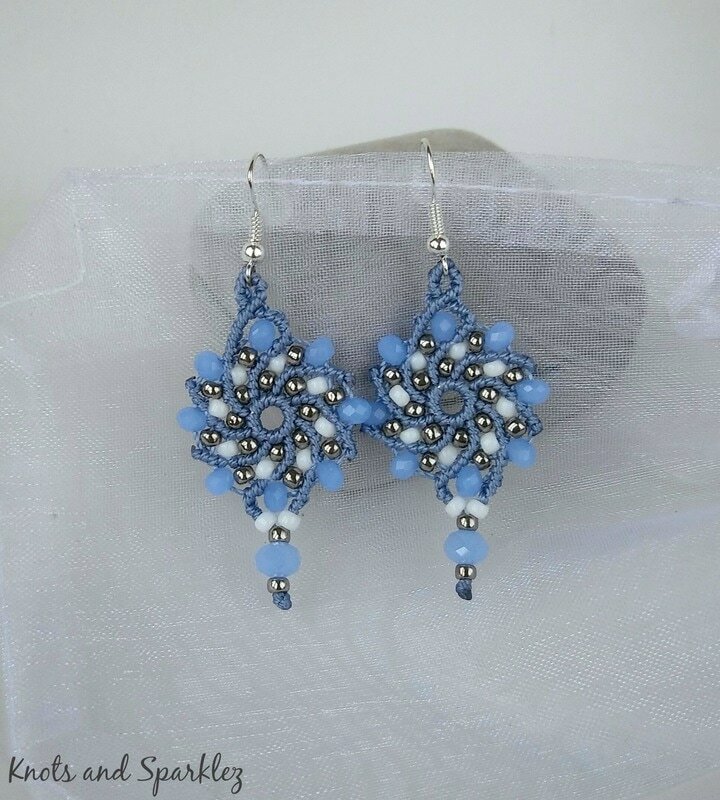 They are for those ladies that like statement or larger earrings but sometimes don't wear them because of the weight that large earrings carry. These are feather light, people even forget they are wearing them. If you have long hair, short earrings won't be visible, these will! I call these my Chandelier earrings. I shape the wire by hand and then I use it as a base to hold my knots. 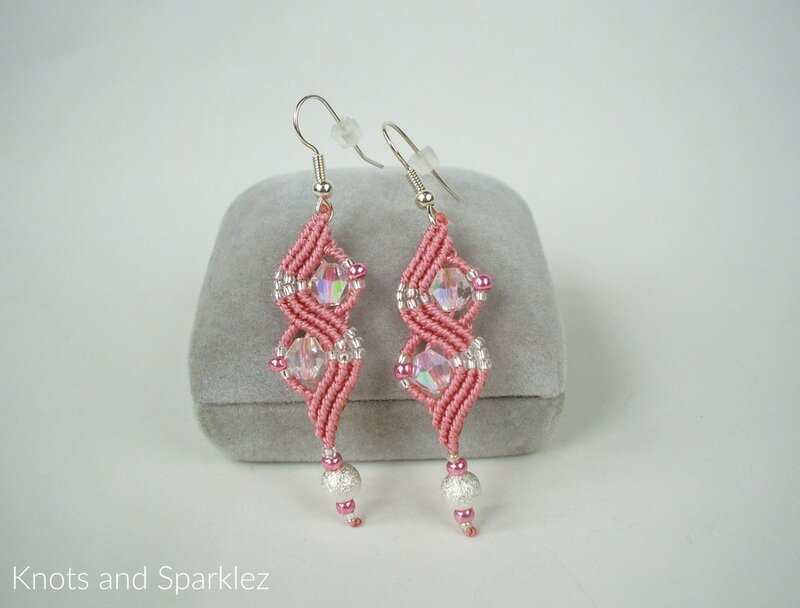 They are quite elegant but I have made other variations in other colors and using different beads. These are my faves!! They are super light weight and will sparkle and shine all the way. These earrings were named "Dangerous Curves" by one of my customers because of their shape, and I loved that name. The idea came when I was trying to craft earrings to match my Rosaline Necklace you can see in the Necklace Section. 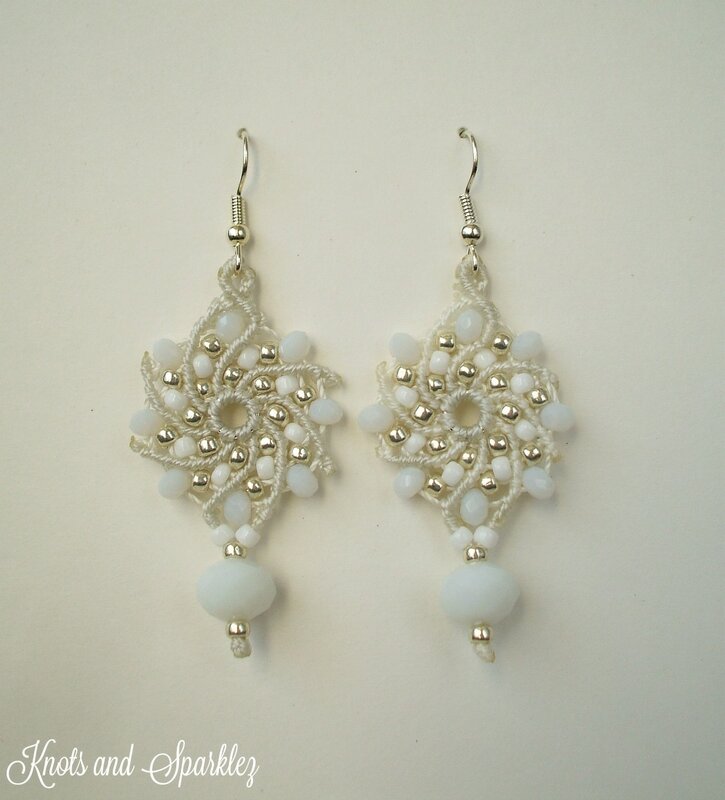 They look very elegant and classy either with pearls or crystals. They can be made in many other colors. 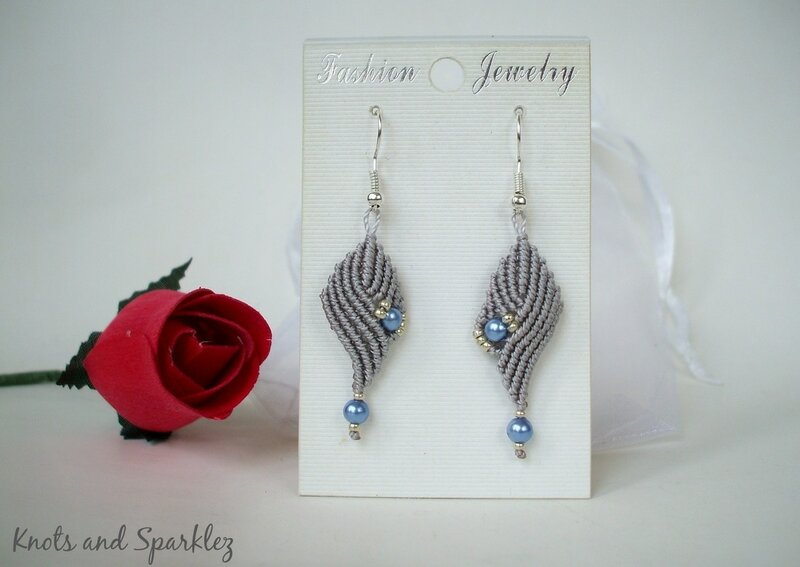 Meet the "Pinwheel" Earrings. 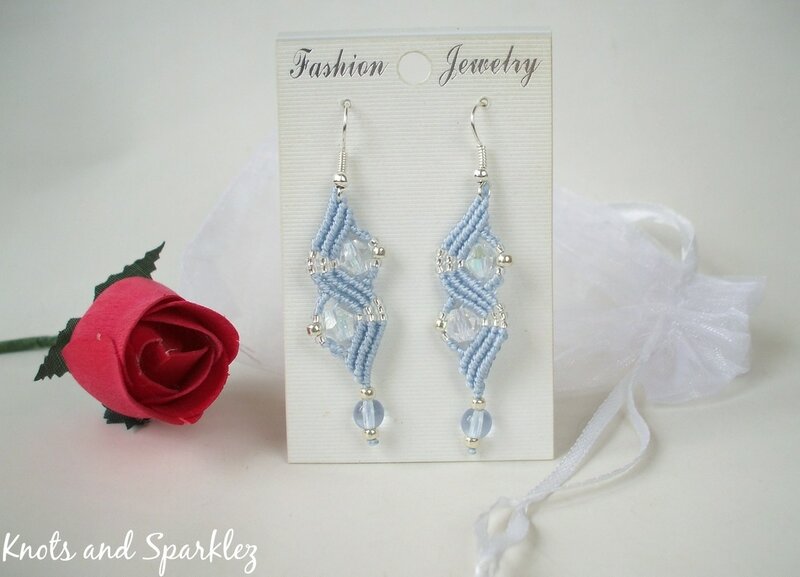 Shaped like a Pinwheel in vibrant semi-pastel colors with sparkly crystals and and lots of beads, these are flirty and fun to wear, very light weight and they look good with both short and long hair. They are also very well suited for formal attire, dinner parties or dinner dates. 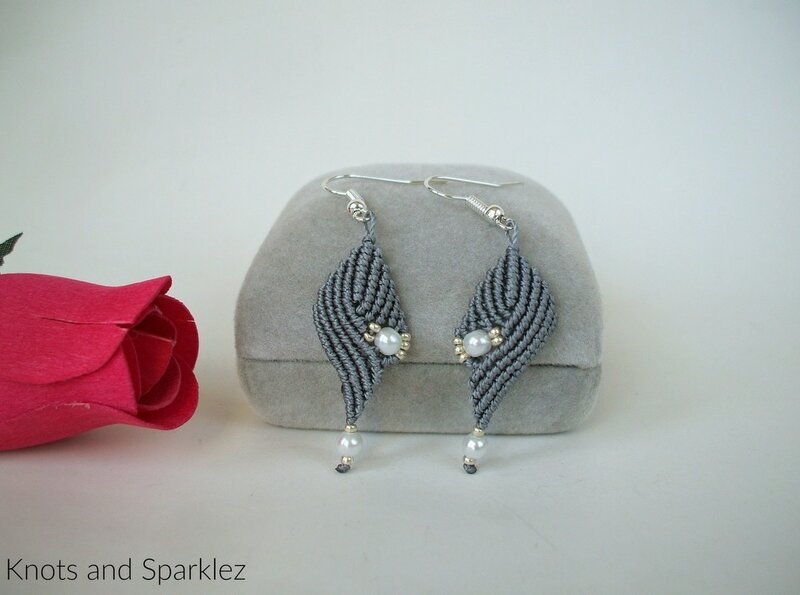 These are my smallest earrings, about 2 inches long and feather light, with small pearl beads for accents. They kind of resemble a shell and they are perfect for Summer weather when you want lightness both for your clothes and jewelry. They can be made in any color combination. 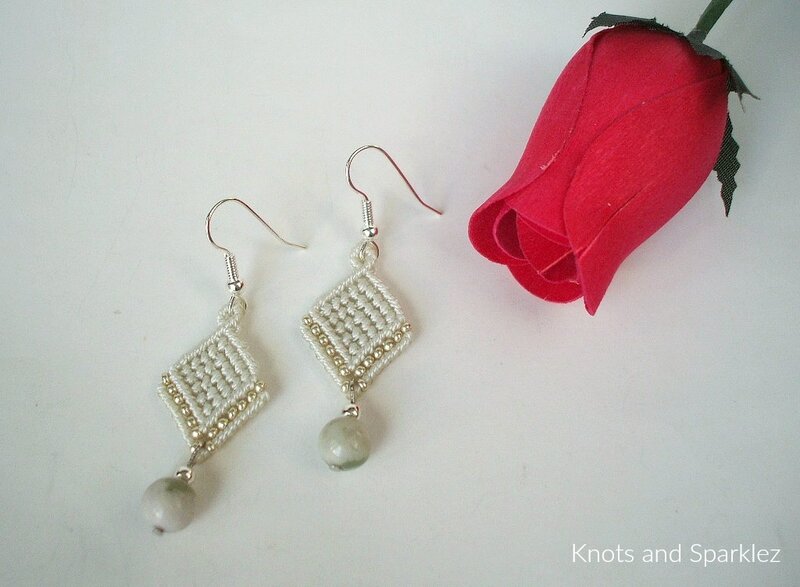 Those on the second row are Geometrical, in the shape of a rhombus with silver accents and they can be accented with a variety of beads, pearls, gemstones and so on. 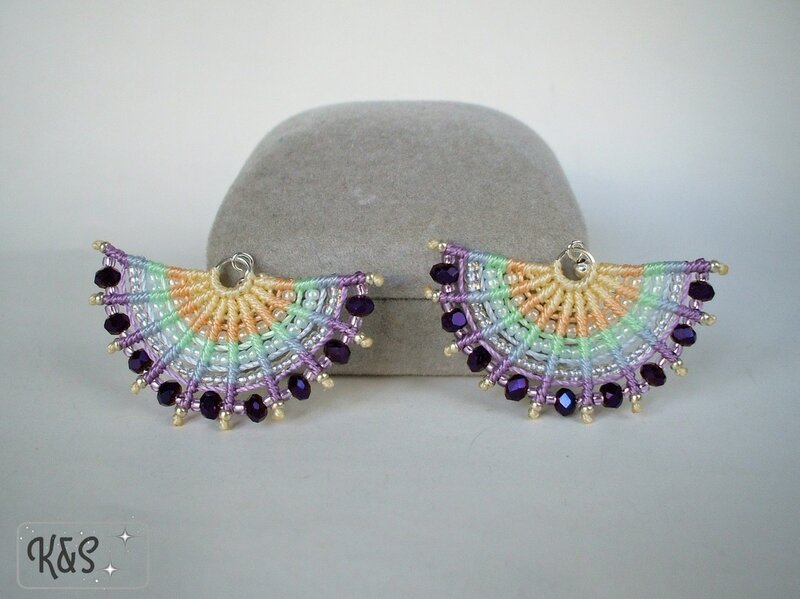 The WINGS earrings are one of my most requested style, and I have made them in so many color combinations I would fill up the whole page if I had to add them all. 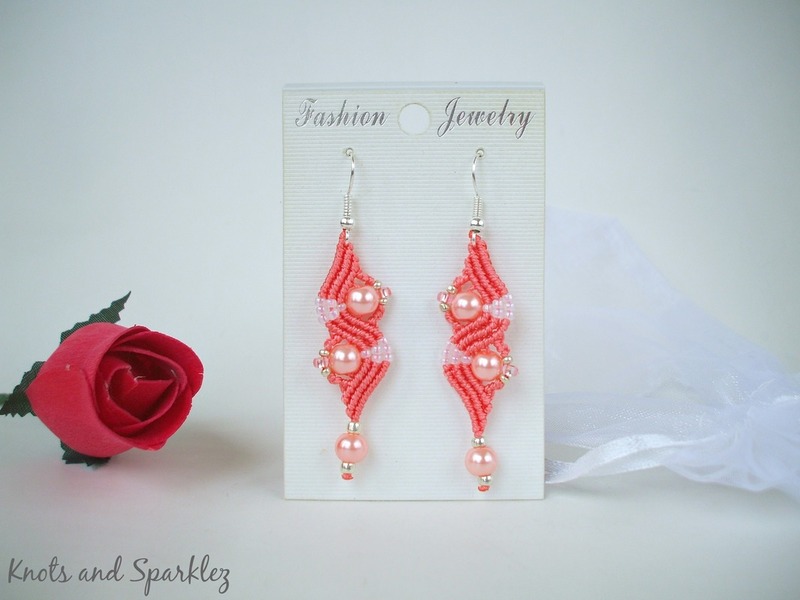 They are fun to wear, they can be made to match any outfit or event. I have made them to match Sorority colors, Sports Team colors, wedding theme colors and so on. They are beautiful, colorful and they grab the attention of those around you, guaranteed! 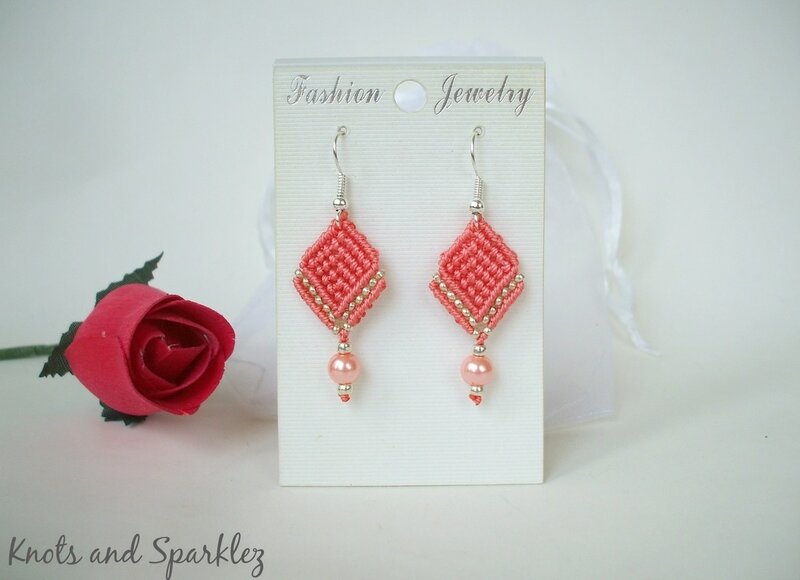 These are special shape earrings made for custom orders. The first one was requested as a pastel rainbow and the second was requested as a snowflake to match a bracelet, and so it came that these were created and they are now with two very special ladies.